The 2009 Canadian Cancer Statistics report was released on April 16. EACH WEEK in 2009, 3,300 Canadians will be diagnosed with cancer and 1,450 will die of the disease. The report estimates that 171,000 new cases of cancer will be diagnosed this year in Canada, up 4,600 from last year. About 75,300 people will die from cancer in 2009, up 1,500 from 2008. Most disturbing, cancer rates continue to rise among teens and young adults in Canada, particularly among young women, aged 15 to 29, with new diagnoses increasing by about 1.4 per cent a year. The increase among young men in that age group is just under one per cent a year. With only 2 per cent of research dollars going to primary prevention, that shouldn’t surprise anyone. You can’t find what you don’t look for. Prevent Cancer Now believes that public funding for primary prevention of cancer should be increased to 50 per cent of the total. This is our money, folks, the money we donate either directly or through our taxes, and we should be demanding a better return on our cancer fighting investment. 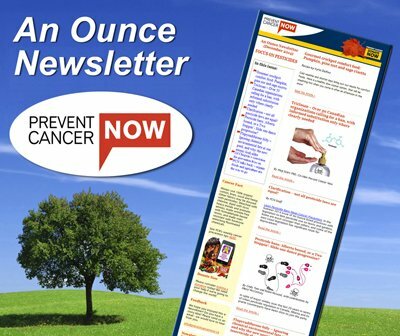 As for the limited information available on cancer prevention, that just isn’t so. We know, and much is made of the fact, that cancer risk is increased by smoking, obesity, lack of exercise and sun exposure. What we hear very little about is that cancer is caused by mutations to DNA caused by radiation, toxic chemicals, such as benzene, and materials such as asbestos. These materials have been known to cause cancer for decades. We now know a lot about the role of hormone disrupters – those chemicals in pesticides, plastics and pharmaceuticals that mimic natural hormones and cause cancers of the breast, prostate and testicles. What is very difficult to study are exposures to so many dozens of carcinogens at the same time, from conception onward. Many of these toxic substances – such as asbestos – can, and should be, eliminated from our lives. This is primary prevention in action! The cancer numbers in Canada never decline – and probably won’t until primary prevention of cancer is taken seriously. Meanwhile, the Canadian Cancer Statistics report always tries its best to find silver linings in the black clouds of cancer, despite the fact every year, more Canadians are diagnosed with malignant tumours and more die. The trends are clear: Nearly half of all Canadian males and close to 40 per cent of females will get cancer at some point in their lives. One in four will die from this disease. By a country mile, cancer robs Canadians of more ‘potential years of life lost’ than any other cause. Dr. David Butler-Jones, Canada’s Chief Public Health Officer says that, “Preventing cancer and supporting individuals, families and communities in dealing with its impacts, are public health priorities.” Where then, are the funds for primary prevention from public institutions such as the Canadian Institutes of Health Research and the Canadian Cancer Society? We need to stop the sale of false “hope” and start focusing on research – and taking action – that will make a difference. We need to focus on primary prevention. 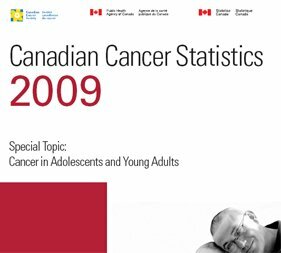 To find out more about the new 2009 Canadian Cancer Statistics click here. And right here is where you can help fund Prevent Cancer Now’s mission to prevent cancer right now.